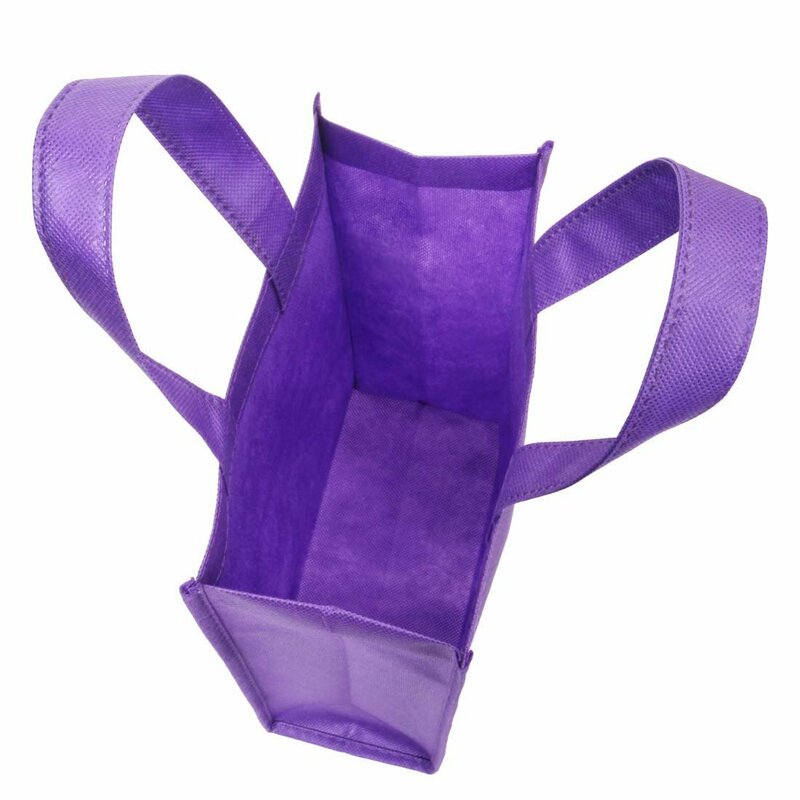 ECO-FRIENDLY: Forget wasteful plastic cellophane; our tote party favor baggies are reusable! 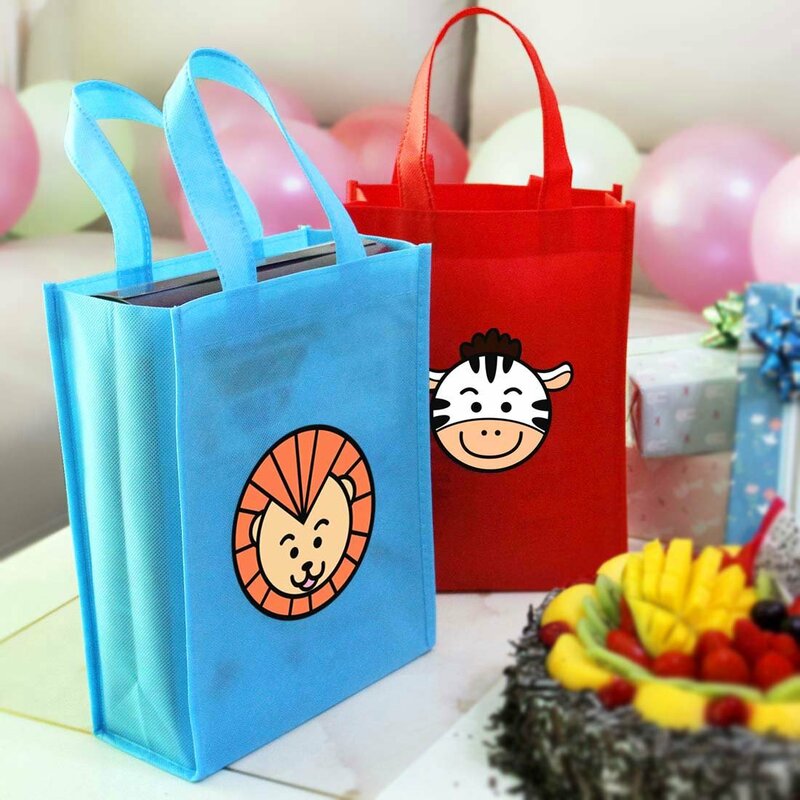 Make your next celebration even more special with Ava & Kings’ reusable fabric gift bags. 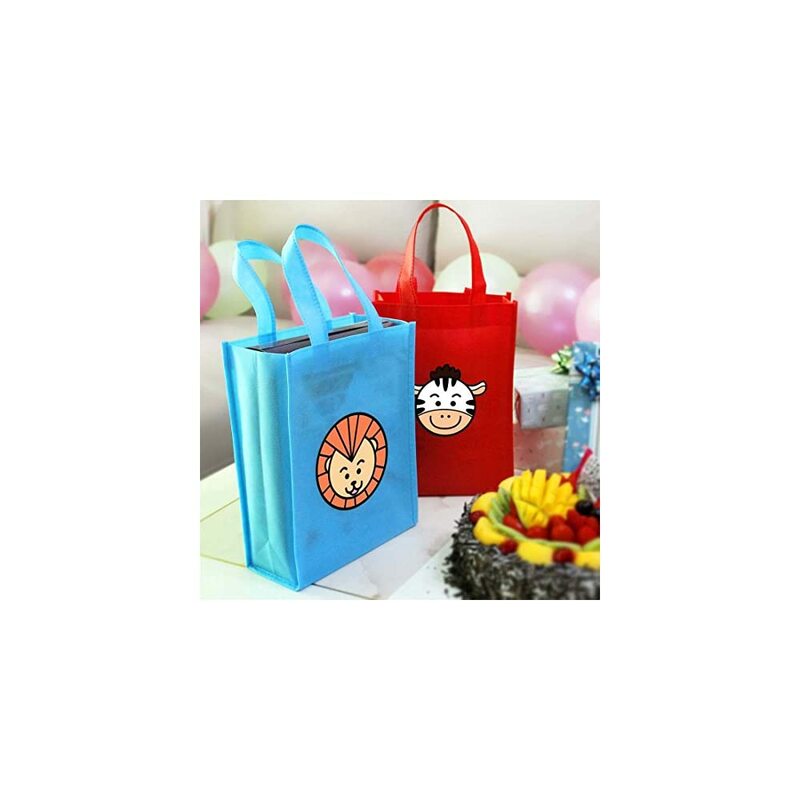 Each set includes 10 high-quality cloth totes with reinforced handles to ensure that your goodies stay safe through all-day childrens play time and lively holiday parties. 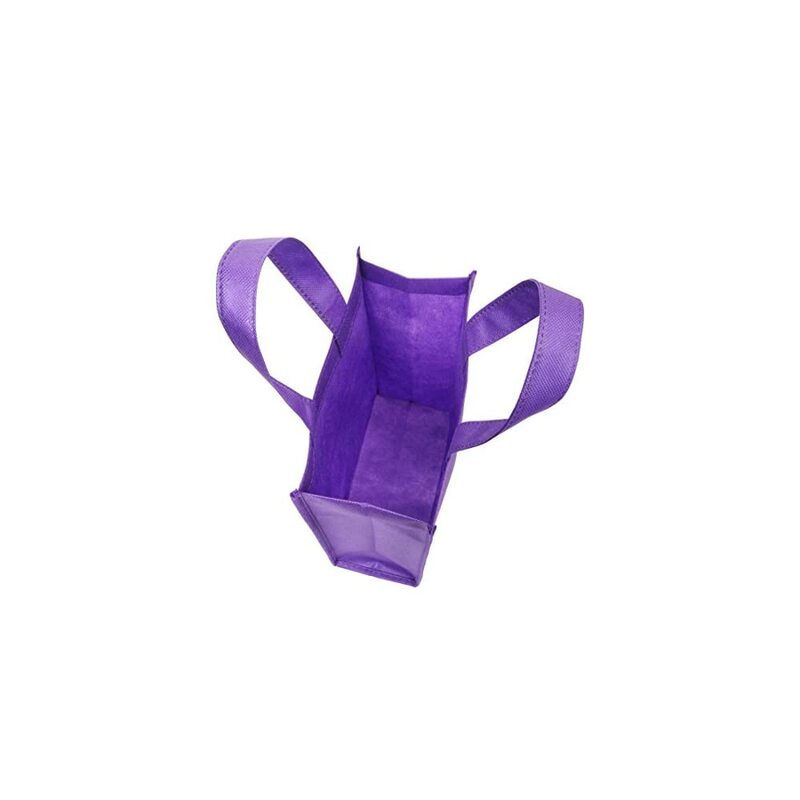 Our baggies come with squared bottoms for more space and stability, and at 7.75in x 3.5in x 10.3in (L x W x H), they’re the perfect size to hold party favors and gifts of all kinds for all party-goers, child or adult. 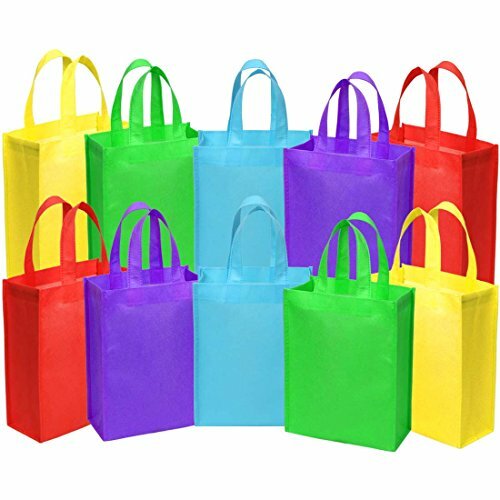 Use these bags to wrap party favors & toys, Christmas and birthday presents, Halloween candy, Easter eggs, kids theme party treats, wedding gifts, baby showers, sporting events, make and take craft bags, welcome packs, and more. 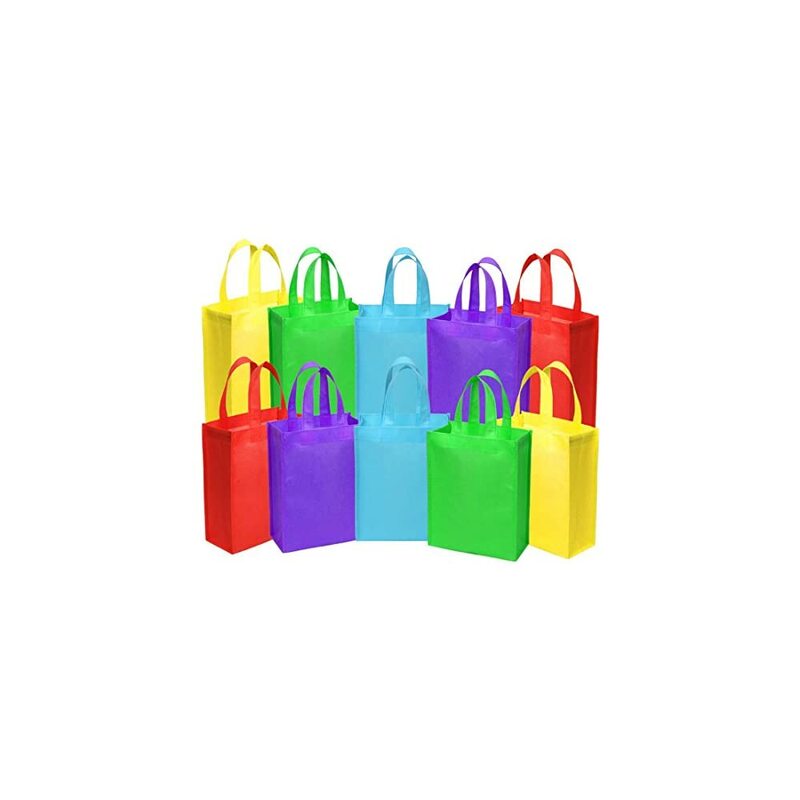 These ecofriendly bags are better for the environment and reusable, too! Your guests can reuse these cloth bags to carry home lunch, groceries and merchandise when shopping, or to give it away again as another gift. 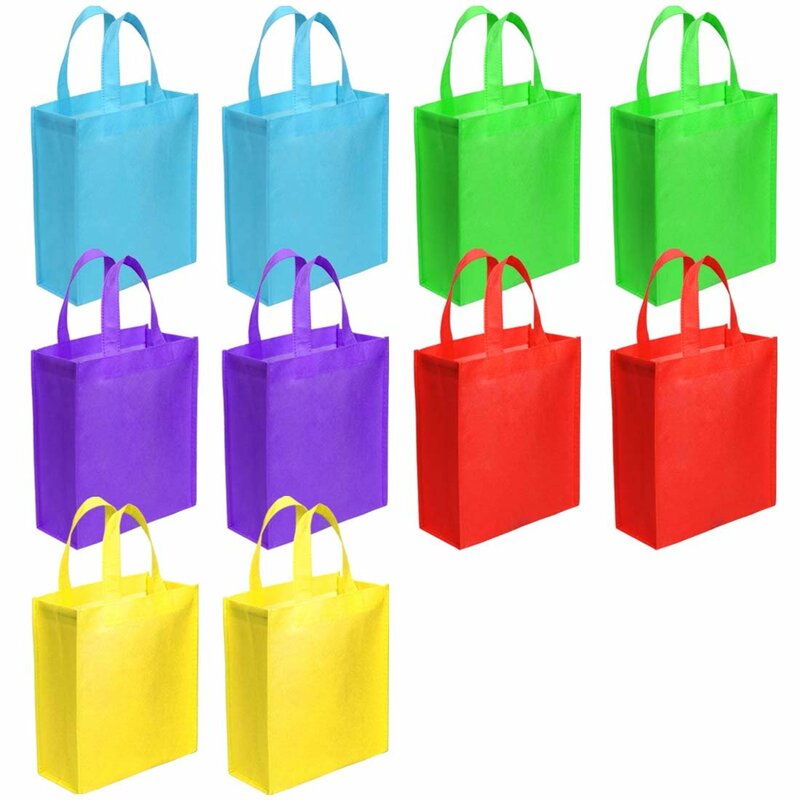 Buying these goodie bags in bulk will save you time and money. Each assorted set comes with a variety of 5 print designs or colors for unique gift-giving. 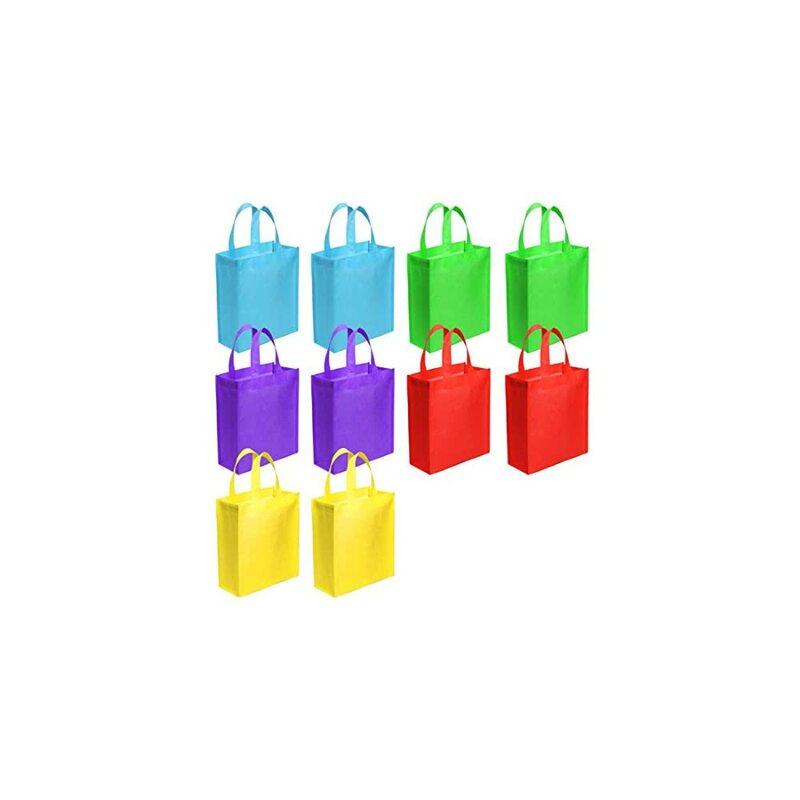 Choose from a variety of styles and themes of handled goody bag sets to match your next event or holiday. ***NOTE***: Due to differences between monitor displays, actual color may vary slightly from image. love the vibrant colours on these, they would add to the joy of giving or getting a gift. A nice inexpensive way to package gifts, with the handles making a nice doorknob hanger for ringing doorbells & running (she’ll talk your ear off). 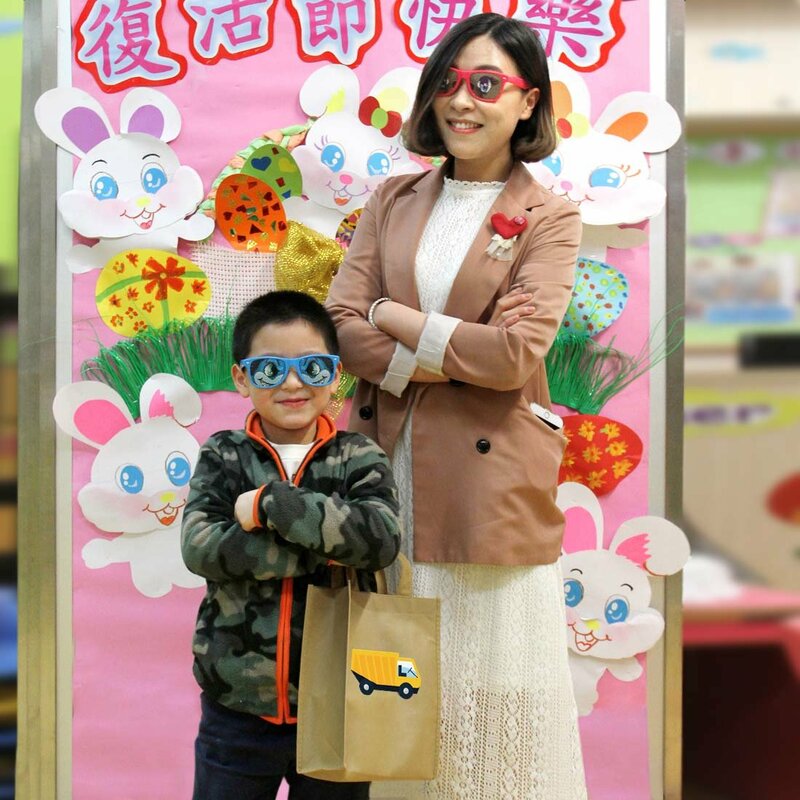 Easy to personalize.